The Star2Star Certified Partner Program offers the best compensation model available to telecom resellers. 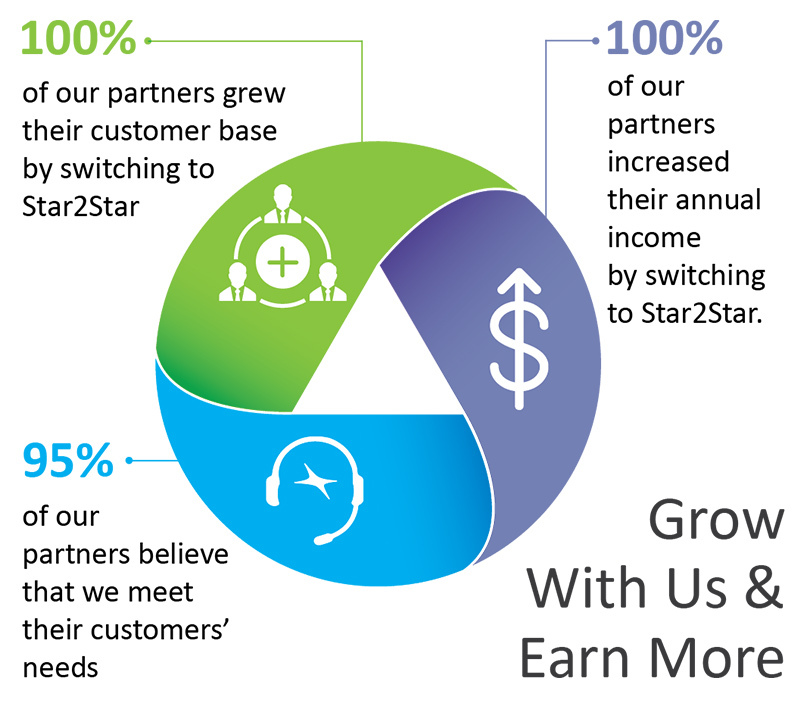 Star2Star provides our Certified Partners with every opportunity to maximize their earning potential. Star2Star also offers extensive support to our Certified Partners, including concierge quoting service, a wide range of marketing support options, our pre-sales engineering team, and a full team of support staff specifically dedicated to the reseller channel. Our goal is to do as much of the heavy lifting as you want us to so that you can focus on selling. One key aspect of Star2Star’s Certified Partner program is that the time and effort that you put in to make a sale will continue to pay dividends far into the future. Once you have registered a deal with Star2Star, no other partner can sell to that client, and you will earn for all additional add-ons and upgrades. Even better, Star2Star customers rarely switch services, and our partners’ commissions keep rolling in. The highest customer retention rate in the industry enables you to add new customers with every sale rather than replacing lost ones. If you are a reseller ready to expand your product and solution portfolio without expending capital or additional resources, Star2Star Communications can help. The cost of becoming a Star2Star partner is significantly less than the cost of many of our competitors, and we offer incredible flexibility in how you define your relationship with us. We’ll match your business model instead of you having to match ours. Even better, our system requires fewer truck rollouts than those of our competitors, saving you time and labor. 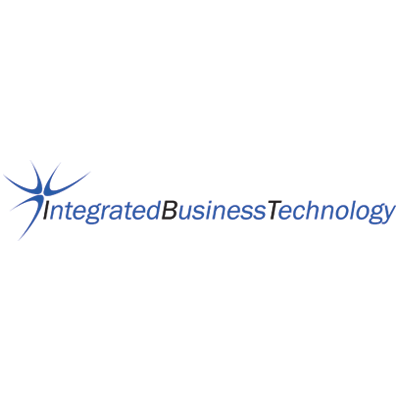 Our partners grow profit margins, accelerate service-based revenues, and maintain the highest levels of customer satisfaction, all with minimal difficulty. Star2Star offers a comprehensive in-person training program for our Certified Partners. This is further supported by online and webinar based programs. If you would like to learn more about how to most effectively sell our products and services and how to work with the industry's best partner program, please fill out the registration information at the right of this page. Bonus!... 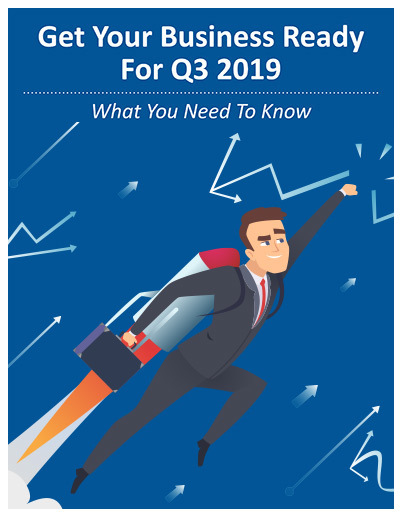 Download our forecast Get Your Business Ready For Q3 2019, just by filling out this form. It includes a significant amount of actionable takeaways for you to employ in your business process.